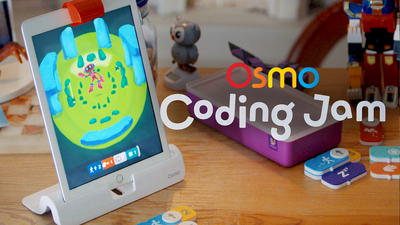 AMSTERDAM, 23 October 2017 - This week sees the launch of the Osmo ‘Coding Jam’ Holiday 2017 campaign. The US holiday TV and social media campaign introduces new children to Osmo and inspire them to code their own jams to unlock an awesome of world of music with friends. 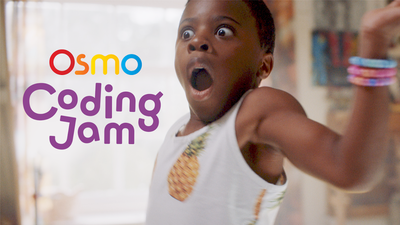 This fresh and energising campaign brings to life Osmo’s uniquely fun and entertaining play on and off the screen – supporting Tangible Play’s vision of being a modern solution to a modern problem of children’s device addiction. Though a range of educational toys, Osmo products gives children control and builds confidence – empowering them to explore and learn on their own. The Holiday ‘17 campaign captures the true character of an unconventional little star. It isn’t just about cuteness or an awesome performance, but about bravery and unlocking a spirit to be your creative self. It’s a ‘this is who I am’ manifesto in dance. 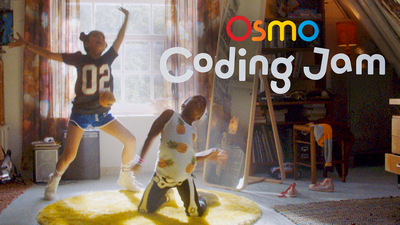 The playing of a self-created Coding Jam track kicks off the dance and provides the quirky music coded by a young girl, Osmo’s core consumer target for Coding Jam. Osmo’s educational iPad game features as a key part of the action, as the source of the spark between two kids unlocking their true selves.